Car accidents can have tragic consequences that you have to suffer from for the rest of your life. If you have been injured in an accident, a car accident lawyer might be your best bet in defending your rights. After an accident, you have medical bills, and you can't always expect the insurance companies to play fair or to keep your best interests at heart. You have to find someone who can fight for you because it guarantees the best legal results. 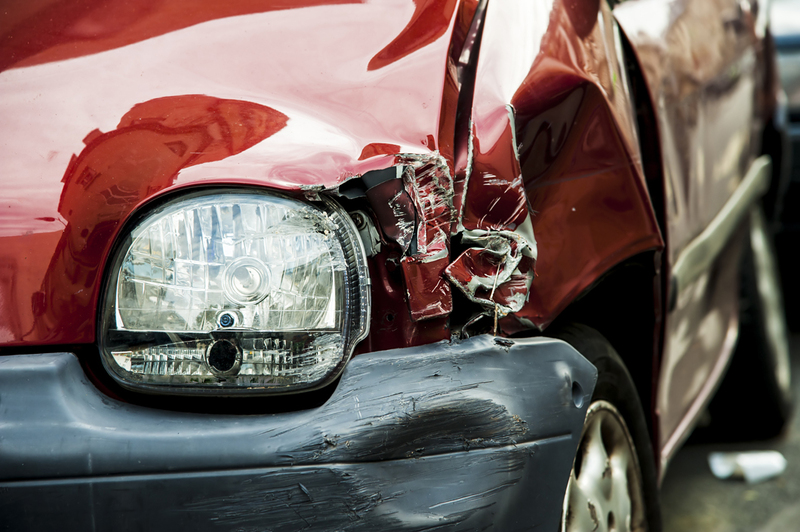 What should you do after a car accident? Some of the details that you want to write down include questions like, "What led to the car accident?" While it might be difficult to piece together when emotions run high, try to take a video or write down the witness statements. You'll need to write down who was driving and where they were driving. This can help to solidify your case to the courts. You should also document the weather conditions like if there was a sun glare and if it was dry or wet. You have to exercise caution when dealing with the other party's insurance company. Never speak with them unless you have your auto accident attorney on hand. This is because the opposing insurance company will normally do whatever they can to get out of paying compensation. This includes speaking with the other person. You might say something innocently, but what you're doing is giving them ammunition that they can later use against you in the court system. Having a legal professional present who understands law practice can save you from making a mistake where you tell them something they could use against you later, which ultimately leads to you losing your court case or weakening it so that you don't receive the compensation that you deserve. Anything concerning your car accident should first pass through with the careful guidance of an experienced attorney. What Steps Must I Take Following a Car Accident? You have many steps that you need to take because this protects your legal rights and solidifies your court case if it has to come to that. In an accident where injuries occur or the vehicle damage goes over a specific amount, one of the first things that you will need to do is to call law enforcement. The officer has the ability to give emergency assistance and to protect the scene of the car accident. They can also investigate and document the potential causes of the car accident. You should document the name of the police officer and their badge number. In addition, you should check the police agency that the officer represents. For a fast tip, instead of writing down the information of the driver, you can simply use your smartphone to snap a quick photo of the insurance card and their license plate—just make sure that it looks clear. The advantage too is that you don't have to worry about accidentally writing down the wrong information only to find out later. You want to see if they can confirm the story that you tell in court. They can speak on what they saw happen. You want to collect this information as soon as possible because the evidence will immediately start to fade and so will memories. Ask for their contact information, their location during the accident and firsthand observations and knowledge. When you ask the witnesses anything, you should tailor your questions specifically so that it doesn't become a "he said, she said" scenario. You only want firsthand observations and a personal impression of what happened, rather than speculation. Only certain things will be admissible in the courts. You want photos of the damage, the vehicles involved and the nature of the scene of the accident. Look at traffic signs and street layouts and road conditions. Photos of the injured should also be taken. For anyone who experiences an injury because of an accident, whether its the driver or one of your passengers, you should take a careful record of this. This gives an insight into the nature of your injuries. Never wait and put this off because you don't know what the opposing side is doing. You should contact a car accident lawyer as soon as possible because this can get them to work on your case immediately. If you believe that you will need ongoing medical assistance because of an accident, you should get the wheels turning as soon as possible. In fact, if you even think that you might need medical assistance, you should file as soon as possible because it could take time to receive compensation. Texas has a two-year statute of limitations for claims on property damage and a two-year statute of limitations for wrongful death cases. If you don't file within this narrow time frame, you will lose the opportunity even if you decide you want to take legal action later. For those injured in a hit and run, you feel afraid because you don't know if you will receive the compensation you deserve. You have three steps that you must take to preserve your legal rights. First, you need to call the police to file a report. Second, you must ask for witness information at the scene. Thirdly, you will take careful documents of the accident. Finally, you will seek out medical assistance if it's needed. In situations with hit-and-run accidents or someone else fails to have insurance, you will typically file the claim with your own insurance company. What happens if the other driver doesn't have insurance? In the state of Texas, insurance companies must offer UIM coverage, which means that in the event of an accident with a motorist who doesn't have insurance or not enough insurance, you can file a claim through your own insurance provider. If you happen to travel outside the state and you get into an accident, if the state doesn't require mandatory UIM coverage, you may have no choice but to file a lawsuit against the individual. Can I trust the insurance company adjusters? Never, and we repeat never speak to an insurance claim adjuster without the presence of an auto accident attorney. It has become common practice that they call the injury claimant and attempt to get a statement from you. You might think this can't be bad, but you can hurt your case and getting compensation in this way. Many times, the victim will be under the influence of medication or they won't be in a clear state of mind. That's what they're hoping for. You have no requirement to give a statement prior to hiring a lawyer, and you shouldn't give a statement without a lawyer present because as stated before, something said innocently could wind up hurting the compensation of your case. Having an attorney can assist you and defend your legal rights. In addition to never giving a statement, you should also refuse to sign any form of release until after you have spoken with an attorney. In signing the release, you have waived your rights to recover reasonable and fair compensation, especially if you learn later that you have further problems. Always have a car accident lawyer present whenever dealing with the insurance company adjusters. How do they determine my damages? After an accident, you might not know where to turn. Especially if you know that you will need medical compensation, you should speak with a lawyer as soon as possible so that you can get the ball rolling on it. It's good to have a basic understanding of how personal injury compensation works. The reason that you should never sign a release with insurance adjusters without a car accident lawyer present is that they could be giving you a low-ball number to begin with. Your legal professional will negotiate with the other party, and they understand what's a good deal and what isn't. They continue to throw back figures between each other based on the information and strength of the evidence. Understanding law, your auto accident lawyer will know what your case is worth. The common person might not know what it's worth or how to protect themselves, which is why you need a lawyer. He or she can continue to negotiate with the other party until a reasonable settlement has been reached. What Happens When You Can't Reach a Settlement? If the case can't be agreed on, they will take the case to court. Your lawyer will determine if it's worth the cost of going to court. Litigation is the term for taking the case through a civil court, and it's a good idea to consider the costs first. Negotiating a settlement through the courts could take years to get compensation, whereas, negotiating outside of court gives you immediate compensation. Your car accident lawyer can determine the best course of action. Are you in need of a car accident lawyer in Humble, TX or surrounding areas? Here at the PM Law Firm, our attorneys are ready to aggressively fight for your car accident claims and help you get the compensation you deserve.